Digital television is advanced broadcasting technology transmitted as digital signals rather than the analog signals from the past. 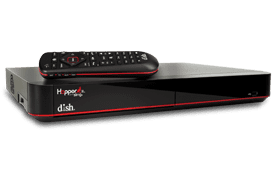 Advancements in digital television technology elevate how you watch TV by improving signal, picture, sound, compatibility, and interactivity. All TV stations have been required to broadcast solely digital television since 2009. Better image resolution and sound quality are a result of digital television even though digital TV uses less bandwidth than other signals. Digital television can come in both standard- and high-definition formats. It also allows users to multicast, or stream multiple channels and gives interactivity benefits to users. Compatibility is another advantage of digital television. It can keep up with the most recent advances in internet and computer technology. Better consistency in reception is one great result from switching to digital television. The signal-carrying digital data delivers more stable and perfect pictures to your TV.